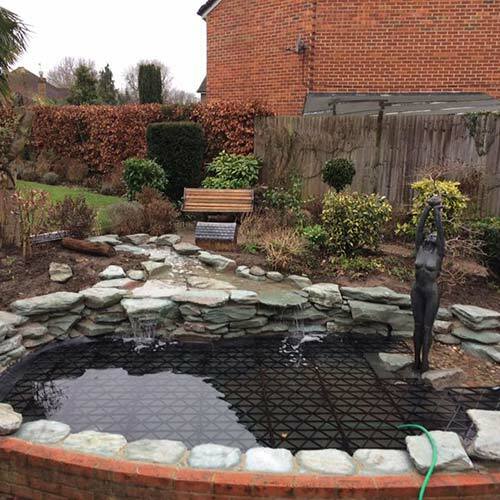 Based in Surbiton, Surrey, we have been providing domestic and commercial customers from across London and Surrey with the highest quality ponds and water gardens for over 37 years. Established in 1975 as a pond equipment and supply shop, we have gone from strength to strength and our professionalism, dedication and high quality pond installations and maintenance services has seen us expand to the highly successful company you see today. 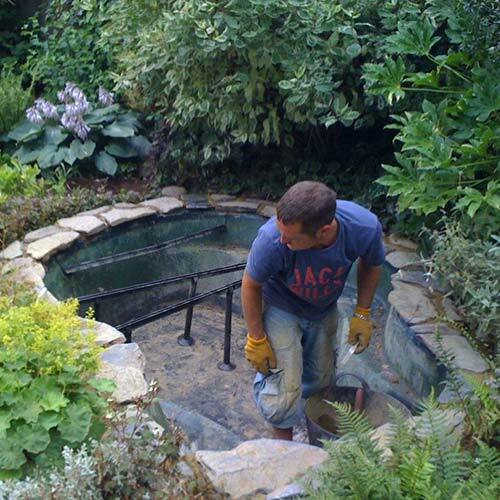 As one of the region’s leading pond installation and maintenance specialists, we employ a small but dedicated team of professionals who really know water gardens inside and out. Whether you are a first time water garden owner or you have many years’ experience, we can provide expert advice and support for everything from cleaning to water testing, installing new ponds, choosing new water features or feeding the fish while you are away on holiday. Most importantly, our team deliver services in a personalised, friendly and professional way; we try to always be there for our customers and their water gardens! 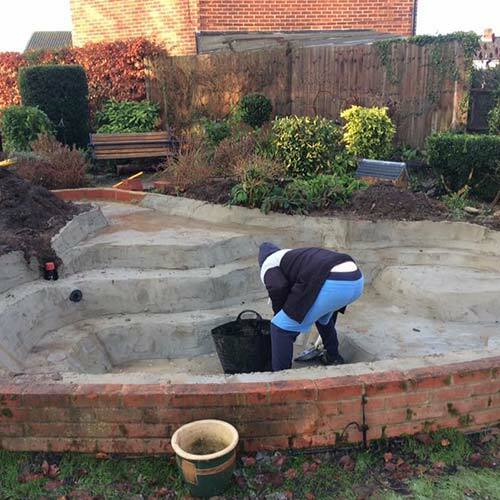 As our pond design, installation and maintenance services are entirely bespoke; it enables us to work on a one off or periodic contract basis. We can therefore tailor our services to fit in with exactly what you require. For your peace of mind, all of our employees are highly skilled and qualified to provide you with the very best in pond design, installation and maintenance services. We also work alongside NICEIC certified electricians to ensure that you always receive the highest standard of service. 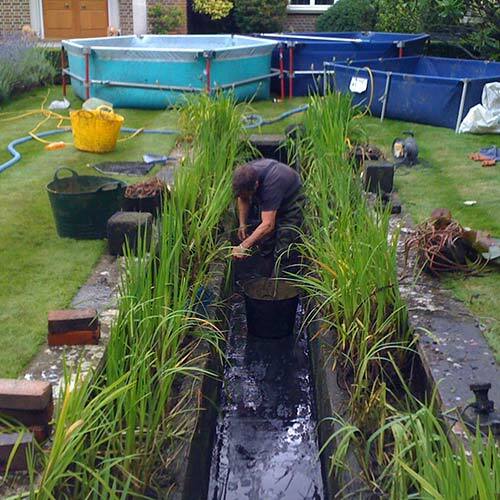 Based in Surbiton, we provide our pond installation, maintenance and cleaning services to domestic and commercial customers across London and Surrey, including Surbiton, Kingston, Twickenham, Richmond, Wandsworth, Oxshott, Hampton, Chelsea, Fulham, Wimbledon, Sutton, Chessington and Cobham. For further details of our services click onto the pond maintenance, pond equipment, pond cleaning and pond design and installation pages of this website. We always welcome enquiries at any time, so if you have any questions about our services or wish to discuss your requirements, do not hesitate to contact us at Egmont Water Garden Services today.